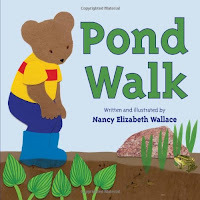 Creating a picture book biography for young children is not an easy task. Some contain such little information that they are not helpful and others too may for younger children. 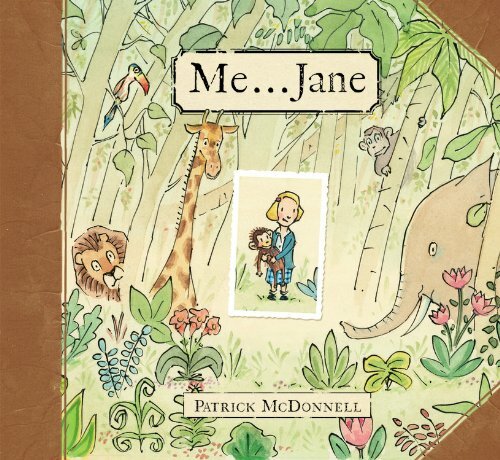 However, Patrick McDonnell finds just the right balance with simple but informative text and soft pastel illustrations that tell the story of Jane Goodall's life. This book would be wonderful for both National Women's History Month as well as Spring/Animals/Biographies. This is my top pick for the week. This was another book that really caught my eye today. The end notes provide the reader with great facts about bees and honey making. I liked how the facts about bees and honey making are woven into the story (which you discover at the end is based on a true story) of a man living in New York with several bee hives and makes honey for friends. Illustrations support the text. 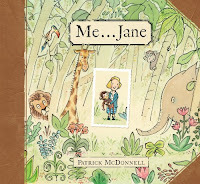 This mixed media picture book was very fun to read. The story is a common tale of a mama bear and her little one spending time together. In this case, they are spending the day out on a walk and around a pond. I enjoyed how the text and the illustrations supported each other and this was a stand-out for this format. A perfect read for Earth Day or Spring. Some books have very similar formats or themes. A friendship theme is very common in books for preschoolers. However, I couldn't tell with this one if I loved the text or illustrations more. 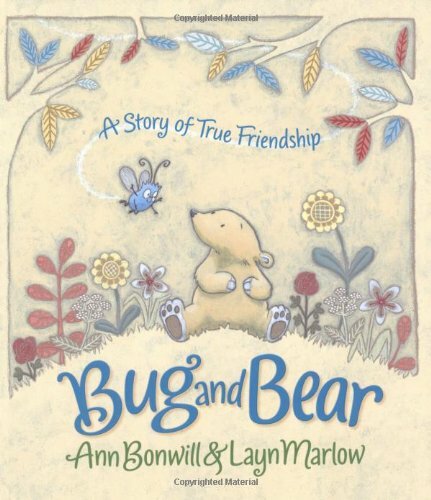 This story is about a grumpy little bear and a persistent bee. Bee wants to play with bear and continues to try and get bear to engage in games. Bear just wants to be left alone. When he finally gets to take a nap, he can't. Bear then thinks about how he treated his friend Bee. 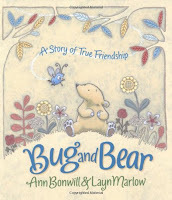 A sweet story of friendship, and how to repair a friendship when it is broken. Some books are just fun and this is one of those books. 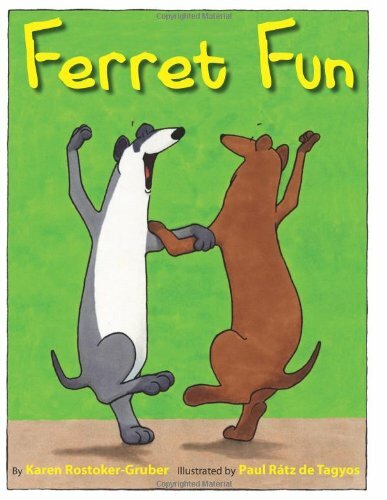 In Ferret Fun, two ferrets have a new arrival to deal with - a cat who thinks that they might be more of a tasty meal than friends. Finally the ferrets discover a way to handle this new arrival. 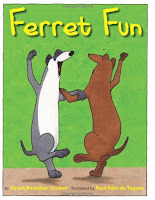 Quirky illustrations and a fun story was a winning combination for me. In "Hot off the Press", "Picture Books"